We offer lottery manufacturing in CNC machining. We strive to always meet and ideally exceed customer requirements, wishes and expectations. We have competent staff, structured routines and methods and all exercise their professional skills with responsibility. We do right from the start and deliver on time, apply to all work within the company. We work to continually optimize and improve our processes to become more efficient and reduce our costs. We have clearly defined and measurable quality goals that are regularly monitored and revised. We comply with laws and other binding requirements that concern our business. We believe that with the above we can constantly improve our way of working to continue to be an attractive partner in the future. To ensure quality, we have a CNC measuring machine with probe changer. 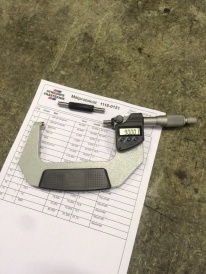 Virtually all articles have measurement program that all employees use at first piece or any alternative random based on customer requirements. All measured values ​​are stored in the MPS system. 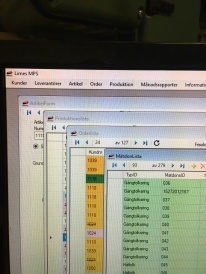 Each unique item/order has its own test records which is stored digitally in the MPS system. As standard, if there is no requirements, the first and last piece will be documented.